Which Windows Mixed Reality Headset should you choose? Which 360 Camera is best for Photography? Home » 360° Cameras » Which Windows Mixed Reality Headset should you choose? As you can see many of the mixed reality headsets are very similar to each other, with the main differences being in style and design. In case you have no clue about what the specs actually mean let me clear them up for you. Field of view: Generally the larger the better. The human eye has a field of view of 180 degrees and other headsets such as the HTC Vive and Playstation VR have a field of view of between 100 – 110 degrees, so the WMR headsets are comparable in this regard. Resolution: Again the higher the better because a higher resolution screen equals a clearer image when you use the headset. Most of the WMR headsets have a total resolution of 2880 x 1440 which equates to 1440 x 1440 per eye. The Oculus rift and Vive has a per eye resolution of 1080 x 1200, so the WMR are actually slightly better in this regard. I should point out that resolution isn’t the only factor in determining the image quality of a VR headset. The only WMR headset that has a slightly different resolution is the Samsung Odyssey which has more pixels. The most advanced WMR headset with the highest quality screen. Screen type: For VR headsets OLED screens are superior to LCD screens. OLED have a better contrast ratio and deeper blacks, as well less blurriness when moving your head. 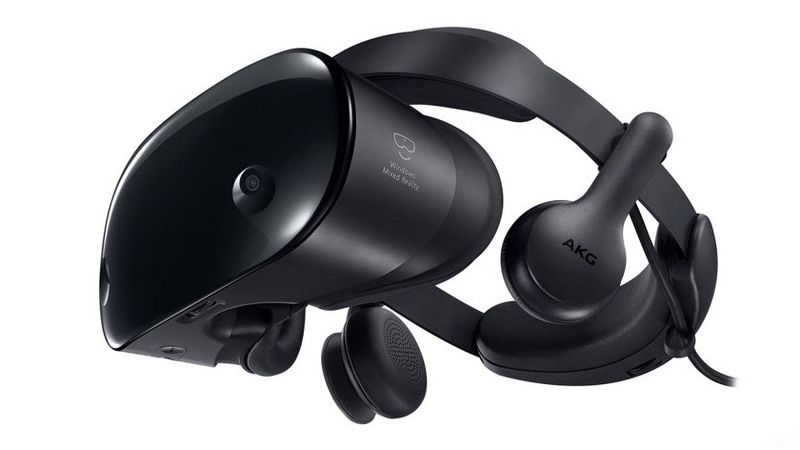 Most WMR headsets use LCD screens apart from the Samsung Odyssey which uses a superior OLED screen, this along with the slightly higher resolution screen makes the Samsung Odyssey the clear front runner in terms of image quality. So after considering all of this, which WMR headset is the best? It would appear that the Samsung Odyssey is the more advance headset, with a better screen and higher resolution. 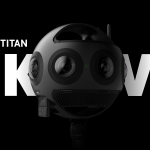 It’s also the most expensive by quite some way but will likely give you a VR experience more similar to the Vive and Rift than the other Windows headsets. The other headsets are nearly identical apart from design and price. Some come with different tracking features and sensors, but in reality this won’t make a huge amount of difference. 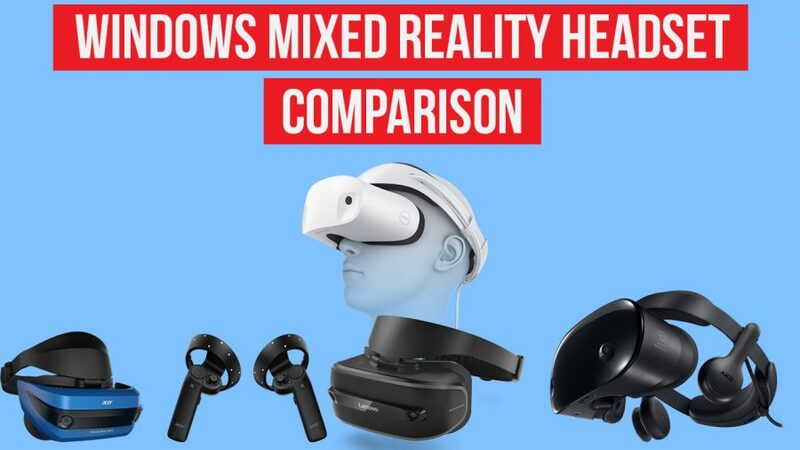 The HP Windows headset is the cheapest out of the group, however it also has the lowest field of view, however the other specs are broadly similar. The most expensive (apart from the Samsung) is the Acer Headset, which has a high field of view along with the most sensors. The Acer is likely to give you a better experience and is also the lightest in terms of weight, which is important if you intend to wear your headset for extended periods of time. Like the HTC Vive and Oculus, Windows Mixed Reality Headsets need to be hooked up to a desktop or laptop to function. Unlike the other headsets, the graphic requirements aren’t as high for WMR but you’ll still need a dedicated graphics card and a decent processor. If you want to check to see if your desktop is compatible with the Windows headsets you can download a small program which will tell you. If you want the most immersive experience with the best quality image the Samsung Odyssey is the clear front runner. With the Samsung you’ll be getting an experience not too far off the more advanced headsets without the need to upgrade your desktop with expensive graphics cards. The Odyssey is also double the price of the other WMR headsets, and the specs are not twice as good. In terms of value for money it’s the other headsets that are way ahead, with some now available for just over $200 which is very good value. The Acer Headset seems to be the slightly better device in terms of specs and would be my choice. 360 camera expert, 360 photographer and lover of banoffee pie. Follow me on Instagram and YouTube for awesome 360 content. Insta360 EVO vs Insta360 One X: Which Should You Choose? Insta360 EVO: New 180 3D Camera. Specs and Videos Here! Are you looking for a 360 photographer in London? I can create a 360 degree tour of your business. Find out more.